On another blog I write for, The Lit Ladies, one of our writers, Little Lady, recently wrote a post about how her high school AP English teacher snubbed his nose at Harry Potter. He had actually never read a word of J. K. Rowling's work, and he refused to even try it out because of its popularity. I'm just going to be honest with you all right now--THIS. ATTITUDE. DRIVES. ME. CRAZY. 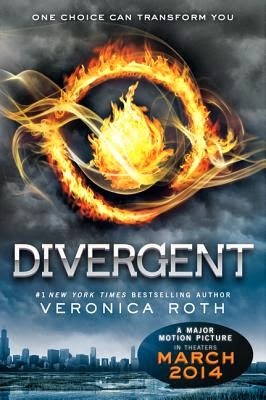 DIVERGENT: I picked this up after discovering that this book was going to be made into a movie, coming in March, and it had a bunch of comparisons to Hunger Games. I was skeptical. However, Veronica Roth had me at hello. I absolutely love this book! Why? I decided it's her pacing, for one. I'm not a big fan of long passages of description or pages where a character struggles with something internally. I like fast-moving, and I like surprises. Roth delivers on both these accounts. I do like her dystopian world, although I wouldn't want to live there--which makes it an excellent dystopian world. And I also love that it's set in Chicago and uses the train system there as a huge part of the plot. I have been to Chicago several times since I live in the Midwest, and I've ridden the L.
So what does Divergent teach me? Keep my pace up. Reveal plot points along the way. Don't cram everything into the beginning. Take familiar settings and change them up a little if possible. 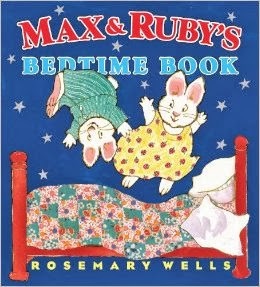 MAX AND RUBY: If you've had a preschooler in the last five years, you know the two loveable bunnies, Max and his older sister Ruby. Rosemary Wells originally wrote the books, which my daughter loves, and it was made into a series for Nick Jr. What I've learned from seeing many episodes of this show as well as reading the books time and again is that picture books can be simple and deal with everyday life. Also, you can have talking animals. And there should usually be some kind of humorous twist at the end. Soapbox over, but I would love to hear your thoughts on popular books! I promise not to debate (umm, okay, I'll try not to), and I wish you the best of luck on whatever project you are currently working on--whether it will someday be popular or not. Margo L. Dill is the author of Finding My Place: One Girl's Strength at Vicksburg (a middle-grade novel) and has three forthcoming books under contract. She is teaching Writing a Children's or Young Adult Novel for the WOW! Women On Writing classroom, starting on October 15. To see more details, go to the classroom page here. I might put off reading a book if it's overly hyped, just to get some distance from the hoopla. And I most likely won't pick up a book just because it's popular if I'm not all that interested in the story. I don't usually read a lot of contemporary YA but I fell in love with Rowell's ELEANOR AND PARK, and am now a huge fan of Jennifer Brown's, especially THOUSAND WORDS and BITTER END. So many great reads out there! Sad to dismiss current popular reads so lightly as they, often, present a new take on life, characters, plot. I, also, find that picture books and very young reader books have much to offer. I can't help but think that Charles Dickens might have surprised many readers with his excerpts that were published in the papers; fortunately, they were not dismissed at first glance due to their "new" appearance. As an avid reader from an early age, I grew up in an era where there was little YA fiction. After I polished off all the Walter Farley and Marguerite Henry horse stories, I was reading gothic novels. Now I am retired and in my second career as a circulation assistant at a library which has a very strong teen director. The piles of books on my bedside table are about 50/50 'adult' and YA books. I find the storyline in a lot of YA very interesting and much more exciting than a lot of adult fiction out there today. @Judy--me too! I love YA. I'm interested in the new genre of NA, too. I am not sure if I've read anything that is officially NA yet or not. @Madeline: Thanks for the recommendations. I think a lot of us wonder if anything could ever live up to all the hype.